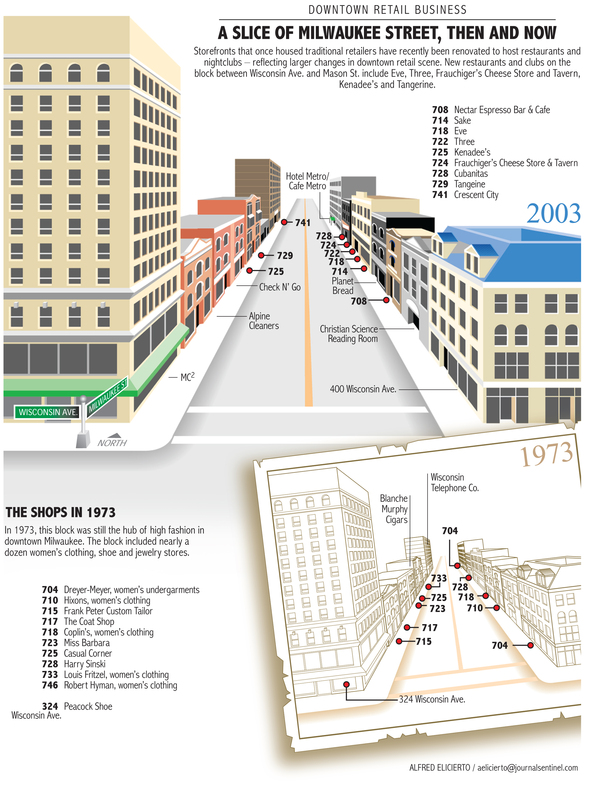 This graphic takes a snapshot of a city street’s retail scene in 2003 and compares it with an image of the same street captured 30 years earlier — in 1973. 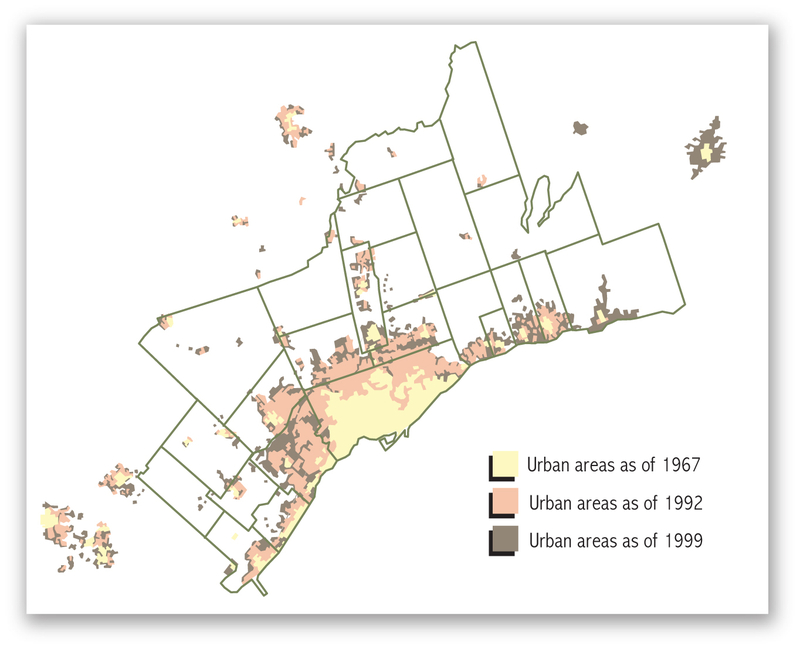 Note how women’s clothing stores, shoe stores and jewelry shops — which dominated the street’s retail business in 1973 — have given way to restaurants, trendy bars and night clubs. Graphic by Alfred Elicierto. Published in the Milwaukee Journal Sentinel on Sept. 21, 2003.